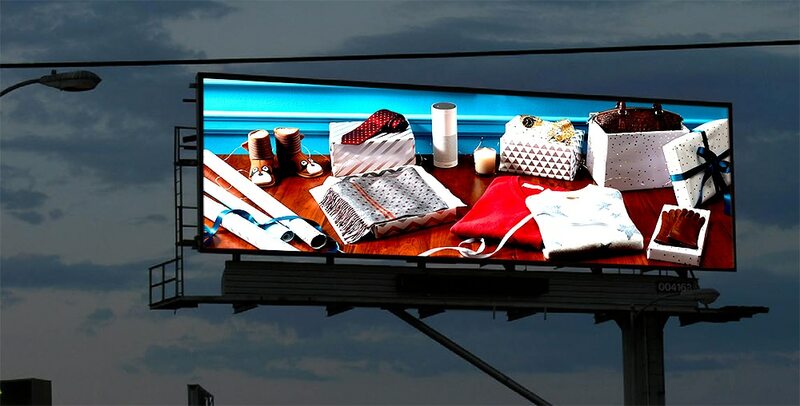 When it comes to outdoor advertising signage and displays, there is no better way to promote your brand than outdoor led display. With led video wall technology evolving many years, the outdoor led display turns out rich colors, bright, crystal-clear, efficient, affordable, and functional which are far better than traditional printed advertising materials. While LED indoor displays have been used widely in stores, malls, schools, hospitals, and restaurants, business owners are also realizing outdoor displays can be used for information delivery, traffic driving, eyeball attracting, and revenue increasing. For those who want to take advantage of this new led technology in outside traffic places, here are some important crucial pieces of information you should know to ensure you’re building the successful outdoor led display screen. 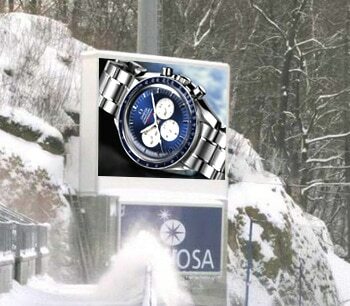 Some outdoor displays are only suited for certain climates. If you’re located in a seasonal area that experiences very high temperature or extreme frigid temperatures, you should choose a full outdoor-rated LED screen that can withstand direct sunlight exposure, or drastic temperature fluctuations, or heavy dust, terrible humidity, and condensation. Sometimes under extreme conditions, you may add a protective glass attaching to the led screen surface to give duplicate protection. And when the outdoor led display stand close to the sea, make sure the materials are against salt corrosion. You’ll get peace of mind after building a successful outdoor weatherproof led display board no matter how hot or cold throughout the year. Exterior led video wall can suffer damage from climate change, accidents, and natural weather over time. Routine maintenance to the wiring, display seal, enclosure, power and support frame is essential to make sure the outdoor display don’t evolve into big problems from minor issues. Keeping your screen healthy for years to come is the foundation to make a successful investment. For proper long-time working, outdoor led displays need an optimum environment that gives a stable internal temperature. The operation temperature within its enclosure is between -15°C ~ +30°C. To avoid overheating problems like mismatched brightness, color distortion, dying pixels as well as other components degradation, it is crucial to building the appropriate HVAC system ( Heating, Ventilation, and Air-Conditioning) for suitable internal temperature. When water penetrates inside the enclosure and moisture accumulates inside, your outdoor display can get a failure, gradually worse, damaged completely. The IP rating in the tech specification sheet from your supplier shows the water resistance grade and protection against a solid object. But sometimes it doesn’t represent true test data. You should look for outdoor led displays with built-in closed loop air circulation system which can fully isolate the display unit against the moisture and dust. If you can remote controlling your led displays from far away even in another city, it will be a very easy job for you to publish the contents and manage the playing schedule. What’s more, monitoring the led screen remotely can watch the states, check the alerts, and take quick action to correct any potential issue that before a larger problem arises from the worse condition. With that remote function, it will be an idea outdoor led display. Firstly, for advertising purpose, location is very important to attract more and more potential clients. The outdoor led displays in most cases are put in high traffic places such as along highways, inroads intersections, or in front of shopping centers, entertainment sites, metro entrances, etc., were perfect for engaging potential clients and stimulating the buyers. 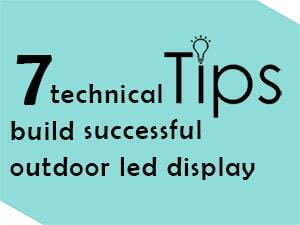 Secondly, if facing direct sunlight or under an awning decides the minimum brightness for the exterior led screen. And if vandalism exists might be another concern for you to install the led display in urban outside area. In any case, your outdoor display should be highly visible. High brightness with high contrast can be crucial aspects to capture the attention of the passerby, stimulate their interests, and leave an unforgettable brand impression. Looking for help with your outdoor led display? Without expertise on led display technology, it might be difficult to find the best suitable outdoor screen. The bad screen may be not TRUE IP65 and not auto-adjust brightness. 3CINNO as professional led display manufacturer in China with 12 years+ for every key team member, we strive to produce a weatherproof outdoor led display even in most extreme weather, providing custom solutions in different cabinet size or to fit for irregular installation site. Our outdoor led displays truly increase the audience engagement and your ROI.